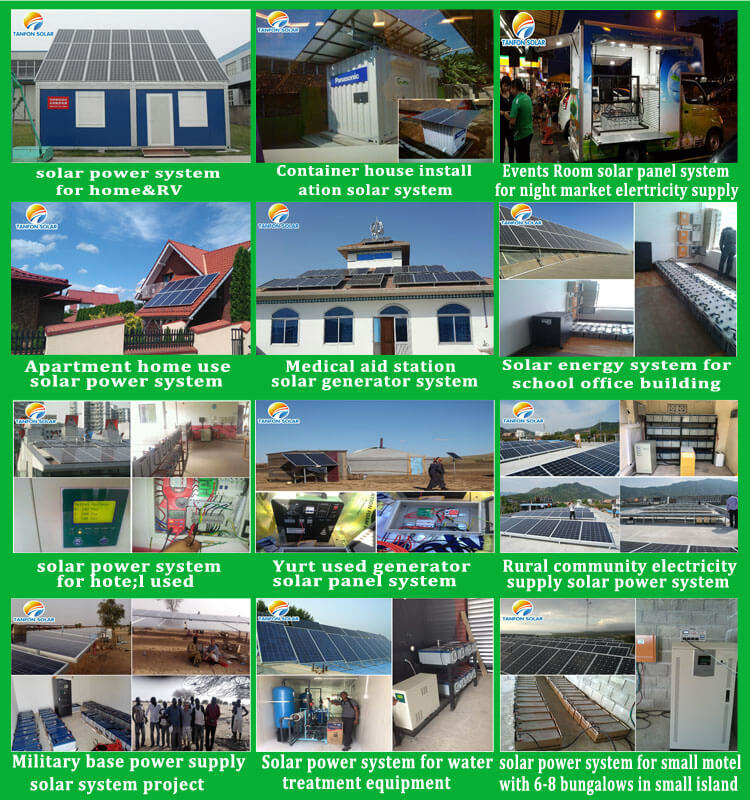 This Solar system not only have solar power system function, but also have Utility complementary function. 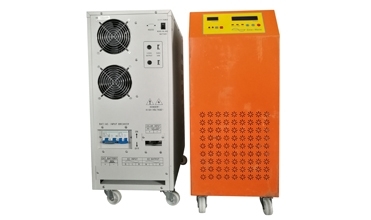 When main power off , the solar system can switch automatically to take use off solar power from battery to run load, When solar power not enough and power off , it can switch automatically to main power and connect with grid electricity take use of main power, at the same time charging battery. This is very suit for home use. 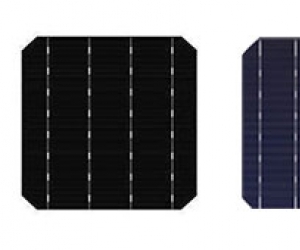 What's the difference between off grid and on grid solar power system? 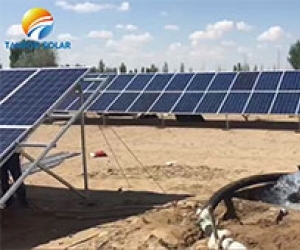 Off-grid solar power system doesn't connect to the power grid. 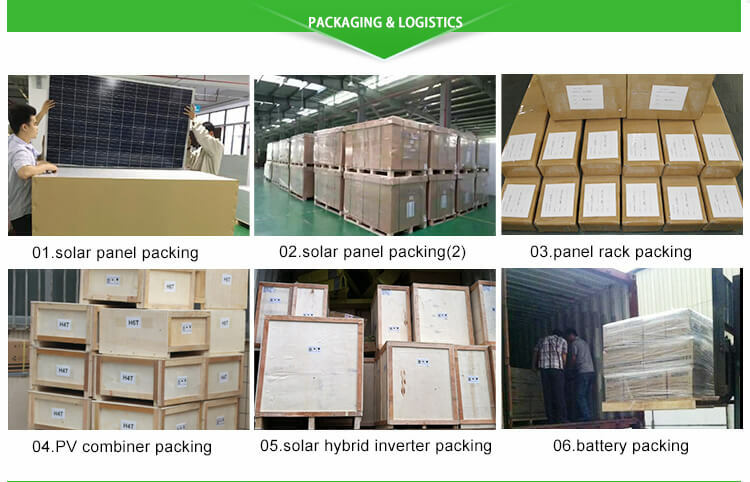 In general, it includes solar panels, charger controller, batteries and inverter. 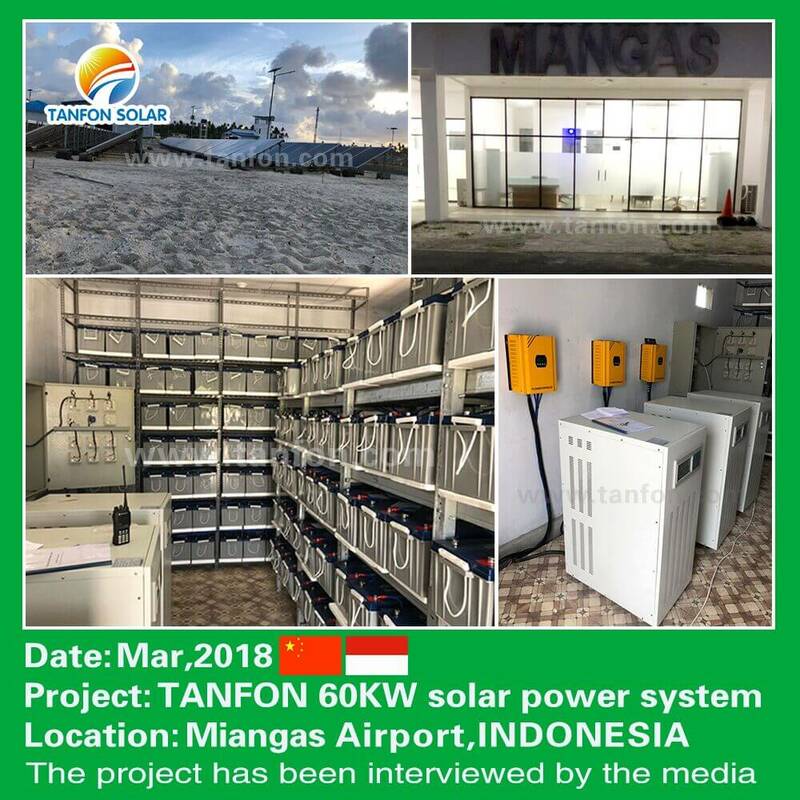 This system will store the solar power into the batteries, batteries energy will be converted the electricity power to supply the appliances working through the inverter. 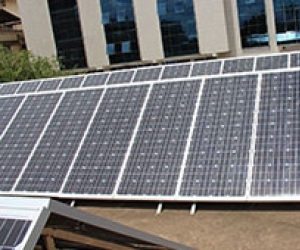 On-grid solar power system connects to the power grid, can sell excess electricity to the public grid. 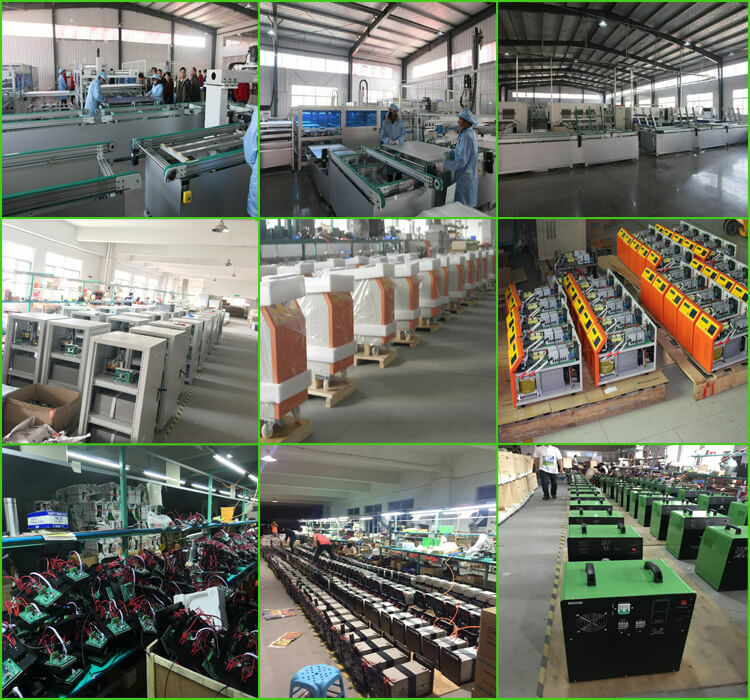 In general, it includes solar panels, grid-tie inverter, the solar power will be converted the electricity power to appliance working directly. When the solar power is off, the power grid will replenish the electricity power to appliances working. 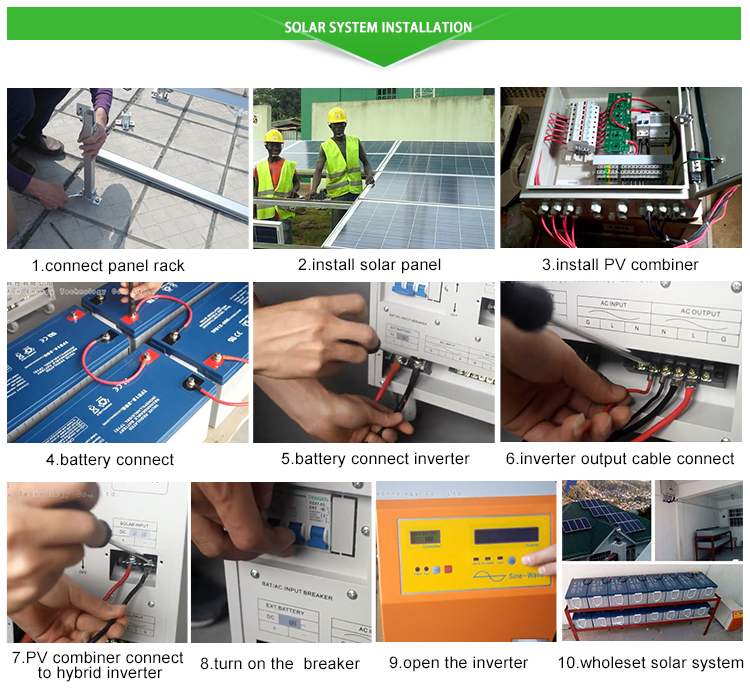 What is included in my 8kw solar power kits? Our kits provide all the components you need from start to finish. 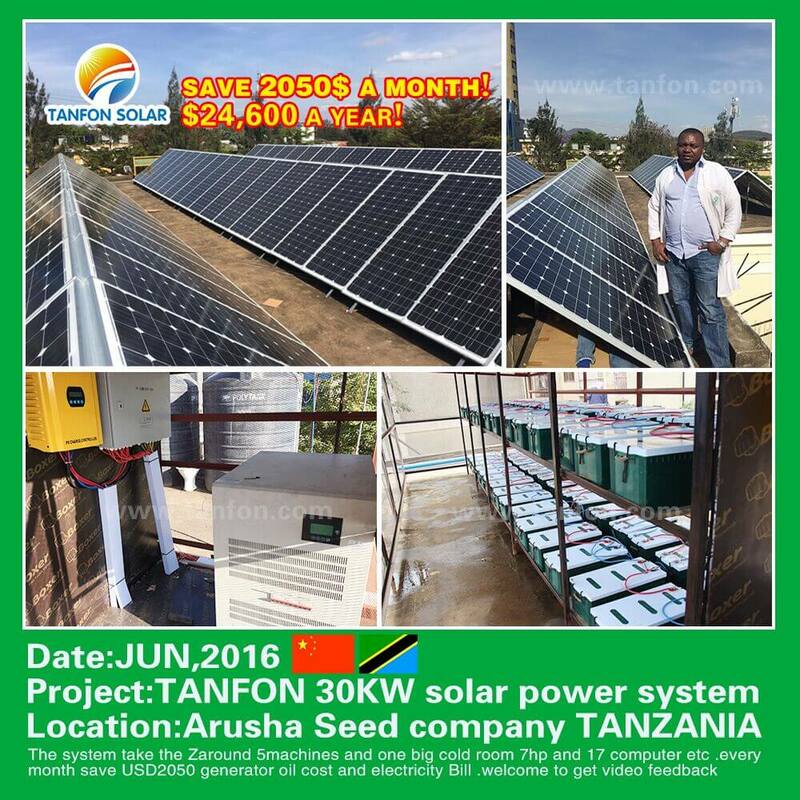 What loads can be take by the off grid 10kw solar system? Household appliances: Lights, fans, refrigerators, washing machines, air-conditioners, water pumps, microwaves, etc. 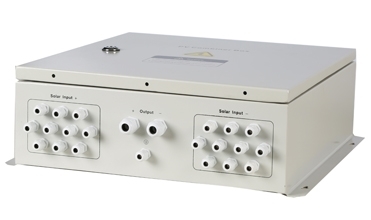 Each set solar power system has tested by power-off test of 100 times per hour. 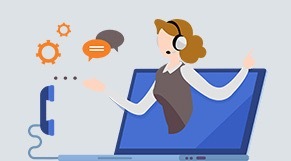 Pre-sale: Have been served for 120 countries professional teams will free to hlep you to design and big project site survey. Selling: Three days per time of follow-up services, video inspection. 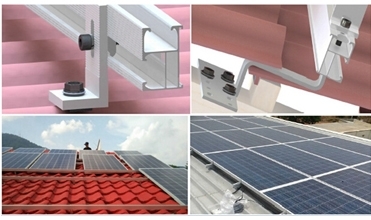 After sales: Engineer can be on-site installation service. 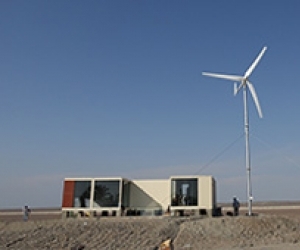 The engineer will arrive at the installation site within 10 days after the goods arrived at port. 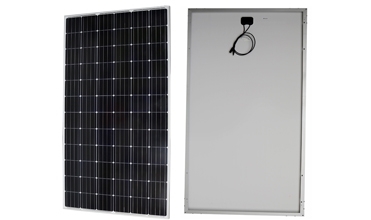 Q: What 10kw home solar system can carry? A: TV, COOKING machines, air conditioners, fans, computers, lights, etc. Q: Is the system solution always the same? Can I customize one? A: No. We have professional teams making solutions for our clients. 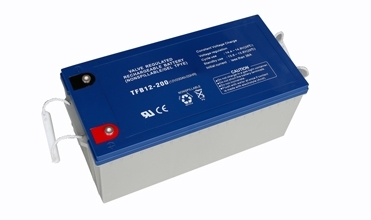 Solutions are mainly customized based on different sunshine time and power consumption. 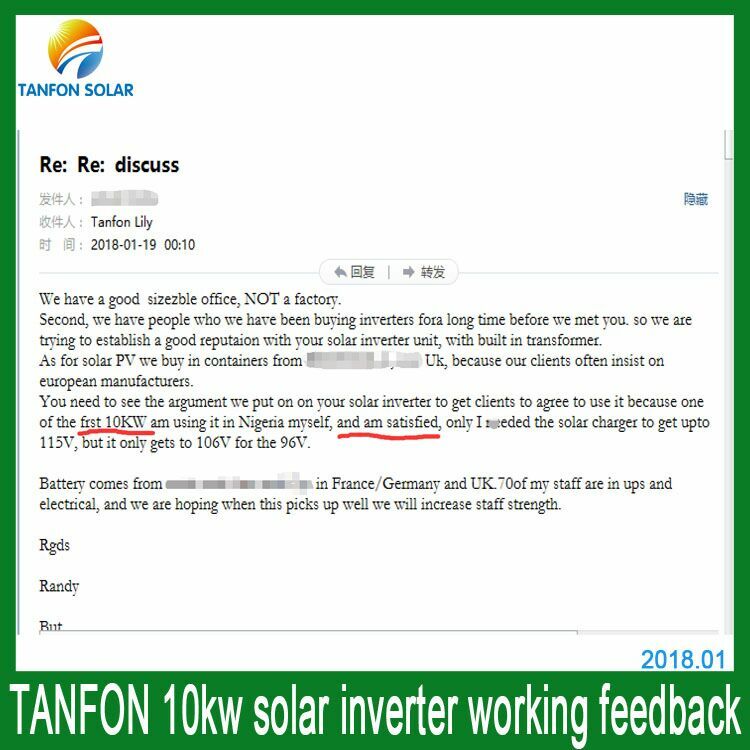 So the 1kw system may be with different configuration. Q: Who arranges the shipping? 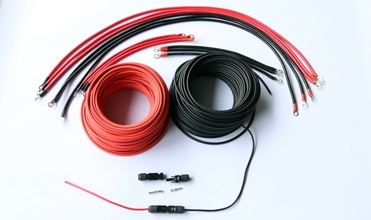 A: We could help you arrange the shipment, we have good service forwarder in Guangzhou. Q: What is the lifetime of the solar power system? 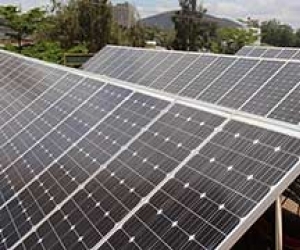 A: Solar panel’s lifetime are 25 years, charger controllers 5~ 7 years, inverters 5~7 years, batteries 6~8 years. Q: What is the package? 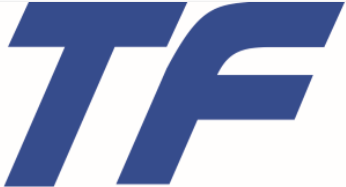 Q: What can Tanfon supply? 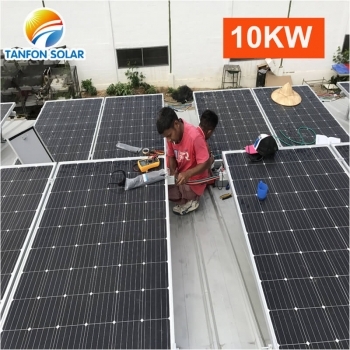 A: Tanfon Supply: Free site survey, design, production, installation, maintenance of one-stop service.